China's homemade servers have seen market share overtake that of overseas producers. Production of China's first 40nm SoC navigation chip started in Nov.
Shanghai Beijia Navigation Company will put China's first 40nm System-on-the-Chip (SoC) navigation chip into production in November. The 4th World 3D Printing Technology Industry Conference & Expo will be held in Shanghai from May 31 to June 2 next year. 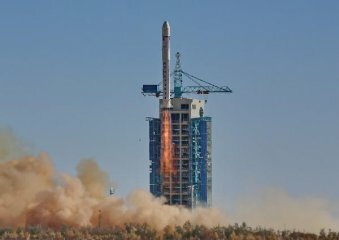 A model of China's Martian probe will debut at China International Industry Fair, it was announced Monday. China Mobile released the results of optic fiber cable integrated procurement for the period of 2015-2016. China Telecom has inked a cooperation agreement with the provincial government of Guangdong to pilot the 5-generation telecommunications network. China's first unmanned submersible capable of reaching 11,000 meters will attempt to reach that depth in the Pacific's Mariana Trench next October. A series of scientific satellites will be launched later this year and next year. The first big data base for international shipping will be established in east China's port city of Qingdao. The average available download speed of China's fixed-line broadband networks reached 7.9Mbit/s in the third quarter of 2015. 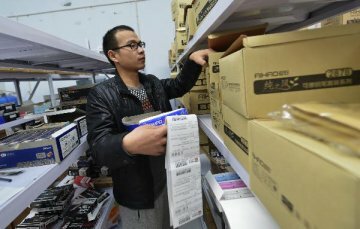 Internet economy took up an increasing share in China's gross domestic product over the past few years and the percentage reached 7 percent in 2014. China's second-generation high-temperature superconducting materials entered massive production and the annual capacity could reach 600 kilometers.